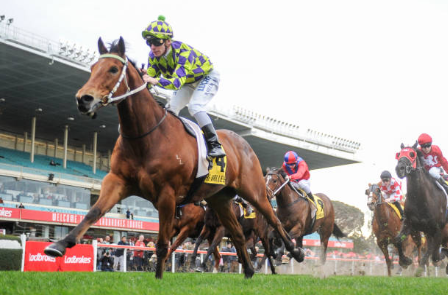 After siring 96 individual winners in a season, Reward For Effort has started the 2018/19 season with a Moonee Valley winner and a Sandown Quinella. On Saturday, You’ve Been Had bolted in at Moonee Valley to take his record to five wins from eight starts. Replay It was an emotional win from Lisa Enright’s stable star as Lisa’s nephew, Ryder Enright. normally a regular at the track was diagnosed with leukaemia during the week and began treatment on Friday. “I hope you’re watching Ryder, that one was for you my little matey,” Enright said. “I bought this horse as a weanling and Ryder has been part of his life from when he was six months old. “He’s followed him through, he hasn’t missed one of his races, he loves Dusty (You’ve Been Had) and he’s the screen saver on his iPad. The tough front runner, Seven Year Reward looked home for owner/breeder Eric Buttler but it was Sheriff John Stone who ran him down in the last stride. Sheriff John Stone was born and raised at Chatswood and was bred by Greg Peters who still owns the talented sprinter. 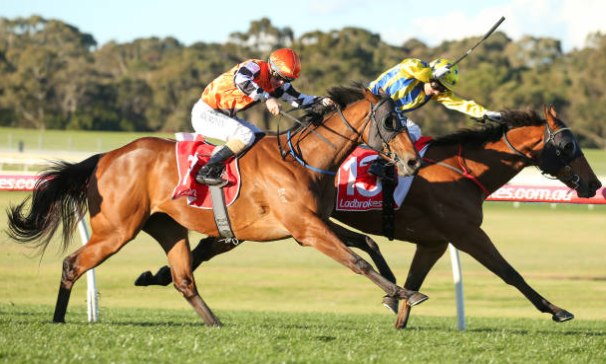 The Sheriff has now won 5 races and close to $250,000 in prize money, he is also Stakes Placed and has a full sister heading to the Inglis Premier Yearling Sale in 2019. Congratulations to the new training partnership of Ciaron Maher and David Eustace. With Reward For Effort’s biggest and best quality crop having just turned two, look out.